Another new grantee, the Jerusalem Intercultural Center, is working with East Jerusalem college graduates in the paramedical fields (e.g. occupational and physical therapy) to pass certification exams required by Israel's Ministry of Health. The vast majority of these graduates are female, and want to work in East Jerusalem, which faces a shortage of paramedical professionals. The director of the JICC, above, describes how the Foundation's grant is supporting the program. One of our new grantees this year is the Center for the Advancement of Women in the Public Sphere at the Van Leer Institute. They are developing an index to measure the disparity between the sexes in a number of areas, including health and employment. We were thrilled that one of the great Israeli feminists, their co-director Naomi Chazan (pictured above, bottom row, far right) was able to meet with us. 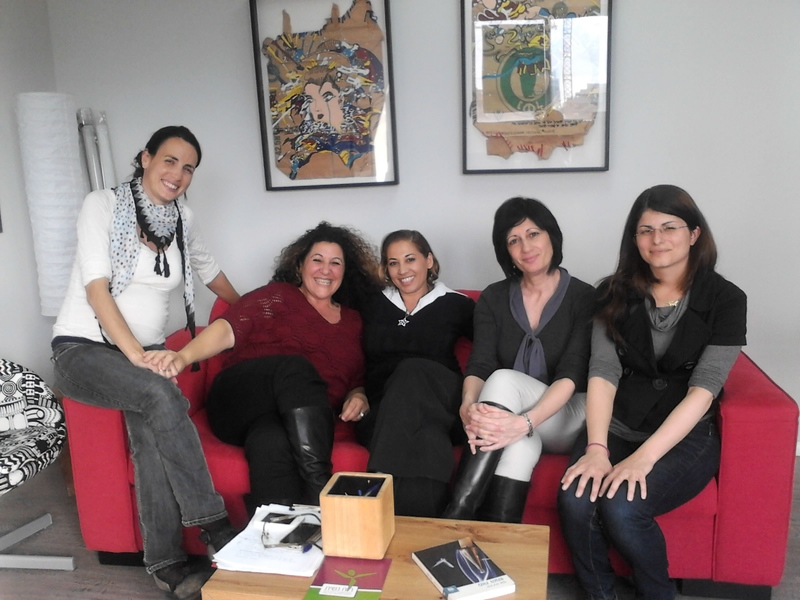 Our visit to the Center for Women's Justice featured a conversation about the state of marriage law in Israel. CWJ has been at the forefront at using tort law to get damages in civil court from husbands who refuse to give a get (religious divorce) in the religious court. Susan Weiss, the group's director, tells how the Foundation's support has helped her organization. Today, we met with our grantee Yedid to learn more about their work protecting the rights of women experiencing discrimination in the workforce. Yedid lawyer Vardit Dameri Madar (pictured above) introduced us to a client whose job offer was rescinded after she told them she was pregnant. 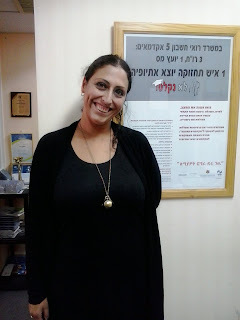 At the Rackman Center at Bar Ilan, we learned about their work helping women who have been denied a religious divorce. Here is there Executive Director, explaining the importance of our support. 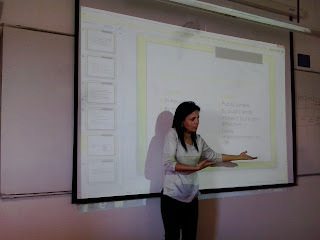 Our meeting at Adva focused on the challenges that Israeli women face when saving for retirement. They are using our grant to write a publication--to be distributed in print, as well as via social media--aimed towards working-age women who are trying to figure out their savings options. Their director, above, explains how the Foundation is supporting this effort. Long-time Foundation grantee, Economic Empowerment for Women, above, works with female entrepreneurs who are creating small businesses. They also provide courses on financial planning, and encourage savings among low-income female business owners. 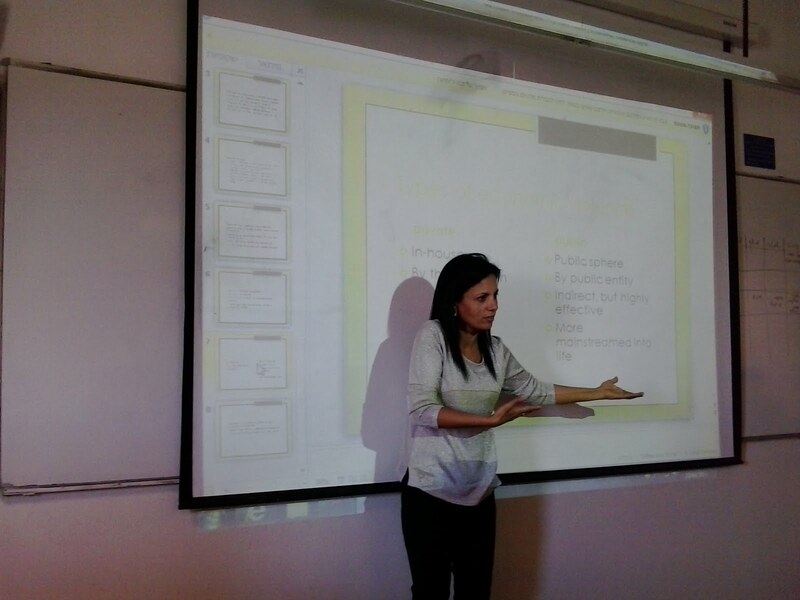 We heard Yifat Biton, a lawyer for Tmura, give a lecture to 3rd-year law students about economic violence, a specific form of abuse. This involves women being the denied the ability to spend their money as they see fit, e.g. a spouse requires them to turn over their paycheck to them, or a father who has been denied a loan will coerce his daughter to take on such a debt. We met with a number of highly impressive young women who are participating in, or are alumni of, Olim Beyachad, a program that helps place Israeli Ethiopians who are university graduates in jobs commensurate with their education. Meet one such grad, who now works for the group, above. We visited Hadera to learn more about the work of our grantee, Rabbis for Human Rights, which is working with a group of single mothers--Israeli Jews from Hadera and Israeli Arabs from Wadi Ara--to secure state-paid child support payments through the conclusion of their high school education. (The government currently makes such payments until the child is 14.) Rabbi Irit Lev of RHR, above, explains how the Foundation supports their work. First stop today: IT Works in Netanya. 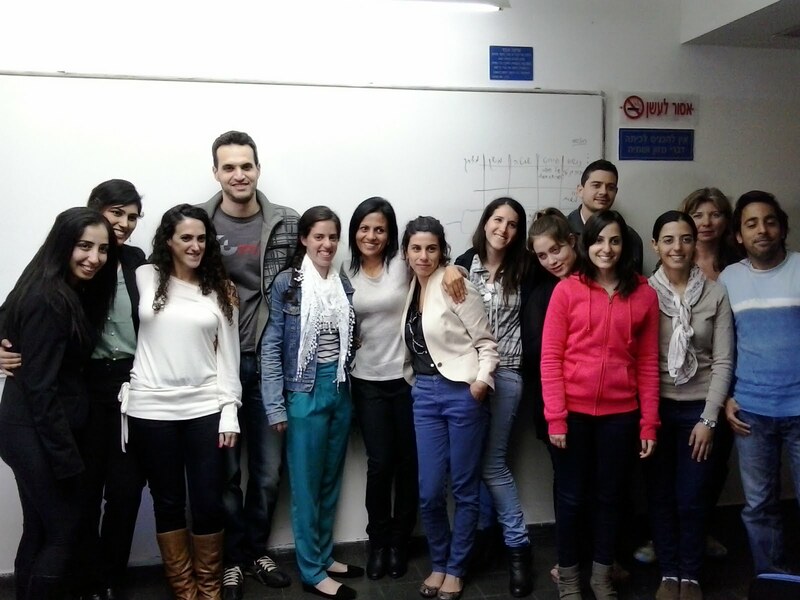 Our grant will help them train a group of low-income women in Hadera, providing them with tech skills so they can get entry-level jobs in high-tech firms. Orly, above, is a graduate of the program who has not only changed careers, but who also started her own business! The associate director of Shatil, Naomi Schacter, explains the impact of the Hadassah grant on their community kitchen advocacy program. Stop number two today was at a "community kitchen" in Hura, a Bedouin town. 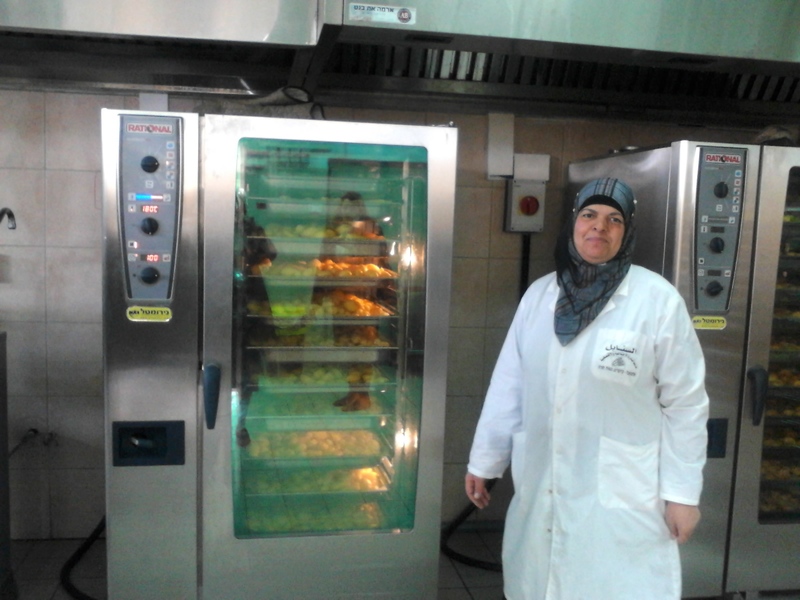 The Israeli government now pays for school lumches in poor communities, and there is a push, spearheaded by our grantee, Shatil, to encourage the government to provide catering contracts to local, female-run cooperatives. This helps keep funds in the community, as well as provide jobs to local women. 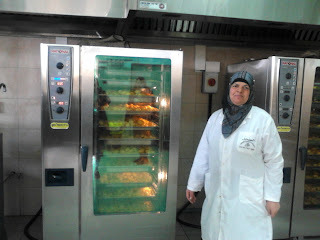 Above, the assistant chef in Hura gives us a tour. Our first stop today was to the Bedouin town of Lakiyah, to visit our grantee Sidreh. Sidreh is using a Foundation grant to support financial literacy and business development classes for local women. Hear from one of their leaders, above. For many of us, a highlight of the visit was "meeting" via Skype, a group of Bedouin women taking a financial literacy class. We were sitting in a tent in Lakiya, and they were in a nearby town that had no power--their computer and wireless connection came via a generator.